This is an interesting looking theme. We’ve seen plenty of iPhone style themes and skins for Nokias but I think this is one of the better ones – it’s also nicer than a ‘skin’ because it works with the actual phone UI. It’s just coloured/themed to look more like iOS. Now that might make some instantly wince at the thought of iOS on their Nokia but others might like it. There’s some custom effects done (part of the custom firmware) otherwise, it looks pretty nice. The zooming out to minimise is much better than the random spinning one. 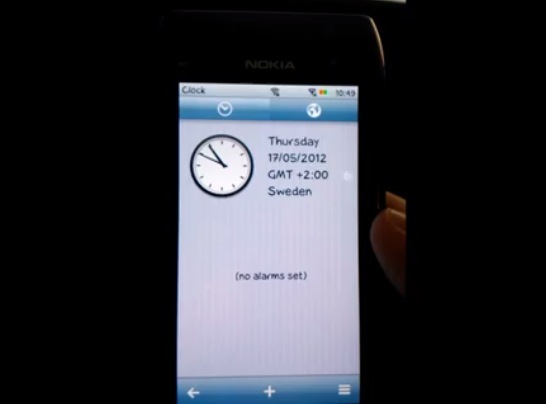 This video shows a very high quality “iphone like” theme for symbian belle devices. My device is running on a CFW (AminKing v9) but it will look almost the same on any symbian bell device. My device has some Widgets and some theme effects that are not available on regular firmware phones. Thanks for watching my video. Peace.